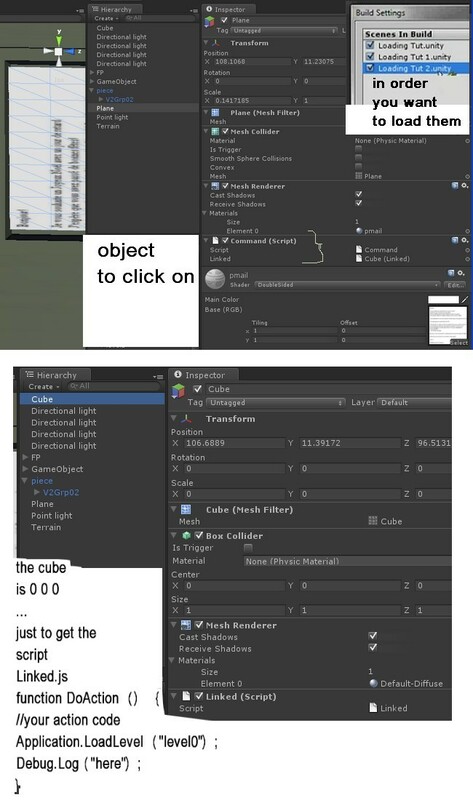 You click on an object, that commands a script on another object,scripted. I saw we had to disconnet first, to enter "level1". in the first scene you logout and that opens the "level1".